This wonderful couple are great followers of Jesus Christ and have God’s passion to serve His Kingdom. They have a heart for surfers, children, nurses and many more. Sean and Erin have a beautiful daughter, Grace and another baby on the way. Both are very loving, supporting parents and spouses. Sean has been serving at his home church since 2000. He has been a teacher in children ministry, involved in church missions, ushering, steward of finances, leader of bible studies and much more. Since 2002 Sean has been serving, leading and coordinating mission trips to Costa Rica, Puerto Rico, El Salvador, Italy and Ireland. Erin has served on a mission trip to Mexico and a big mission field: the hospital. Erin is an ICU Nurse and that says a lot. Both Sean and Erin have a calling to continue to reach out to the children and people of Costa Rica. They both want to serve full time in Costa Rica and work with other Christian leaders in reaching the lost, encouraging the seekers and helping to raise up many Christian leaders. They are currently serving with or at Liberty Church, Christian Surfers US, Christian Surfers International, One Love Nursing Ministries. Thank you and please support Sean, Erin & Grace Bullington; with prayers, time and your generous donations. Ryan and Christina grew up in southwest Wisconsin and met at vocational college in 1985. They have two children: Ryan who lives in Pensacola, Florida and Cassandra. Ryan, Chris and Cassy moved to Scotland in June 2004 to be a part of the team at Overtoun House A Centre of Hope and Healing. Currently, the Haneys provide a weekly children’s outreach, Kinrick Kids and assist in other Overtoun ministries that include, Rock Solid Youth Group, Deeper Skate Church, and the Overtoun House Tea Room. Upon completion of remodeling, Overtoun will also provide short term housing for women in crisis, counseling, and life training. Bob and Melissa Hill have been involved in missions since 1985. 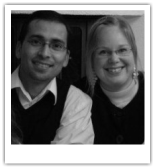 They worked for nine years in Nagoya, Japan and helped plant two churches. In 1994, God called the family to move to Scotland. Bob now pastors His Family Church in Clydebank, a suburb of Glasgow. Their vision also includes Overtoun House Christian Centre, a Victorian Manor House, which is an outreach centre for local children and youth, women in need and Deeper, a skate church. In 2005, the Martins moved to Dumbarton, Scotland to assist in the vision of Overtoun House. The house is currently being renovated for community outreach and housing for unwed mothers and battered women. When fully renovated, David and Rachel will serve as dorm parents for the teenage pregnant girls living in Overtoun House. The Martins are currently involved with "Deeper," a Skater church birthed out of a summer outreach held up at Overtoun House. Deeper meets every Thursday night at the local skate park, Unit 23. How awesome, the youth of Scotland are catching a hold of God! 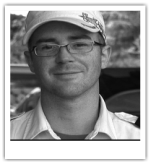 David Caleb Reasbeck was born in Las Vegas, Nevada, raised in Florida and currently resides somewhere between San Diego CA, and Dumbarton, Scotland, as a missionary/skateboarder. He has been heavily pursuing the heart of the Father for the last 5 years, and has been involved with evangelistic outreaches and mission trips since. It has taken him to many countries around the planet, preaching the gospel from his skateboard. opportunity continue to open up in his life. He is part of a home church in San Diego, CA called the Roots church, and partners with different ministries to further spread the Kingdom news! In this episode, we travel to Nicaragua, and join Sandy Carter and the Children of Destiny team. and take part in a medical mission. Andrea Burgess lives by the motto “It’s better to prepare a life, than repair a life.” With over 30 years of experience in child care, Andrea’s resume includes owning her own day care, working with handicapped children, and raising her own two children. Andrea’s experience with children has not only been three decades, but also cross cultural including child care experience in England, Spain, United States, Iraq, Honduras, and Nicaragua. 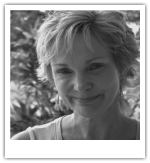 If that weren't enough, Andrea also holds a degree in Early Childhood Education from newborns to three years of age. Sandy grew up in Colombia, South America, the daughter of New Tribes missionaries. She has worked with her family for many years in missions. In 1998, Sandy and her family moved to Managua, Nicaragua to minister to poor and orphaned children. Her first project was to complete the construction of an orphanage in the mountain village of Jinotega, where she now oversees almost 40 children who live in a loving Christian home environment. Her next vision was starting feeding programs located throughout the slum areas of Managua, Nicaragua’s capital. The programs employ local Nicaraguans to cook and local pastors to minister to the children. Her hope is to utilize the programs to start planting local churches and allow the churches to use it as an evangelism outreach. Her ultimate goal being to plant churches and make disciples. More recently, she completed a beautiful infant orphanage that houses 11 infants who have been abandoned or orphaned at birth. The infant orphanage is set on a large piece of property that houses not only an orphanage for adolescent boys, but also an agricultural project to help support the orphanages and feeding programs. Every year hundreds of people visit the work in Nicaragua through short term mission teams. The teams travel to Managua to help by giving their time, talents and faith through medical aid, clothing distribution, construction projects, and music, drama and outreach programs. Sandy built two team houses and a dining facility on the infant orphanage property to provide a safe and comfortable refuge for the visiting teams. Sandy’s primary ministry emphasis is to bring the hope and life of Jesus Christ to Nicaragua’s impoverished and orphaned children and to raise these children to make a difference for Christ in their country. 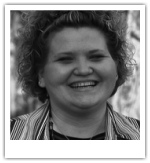 Lianne grew up in a missions-minded family and has been involved in Christian ministry most of her life. She moved to Nicaragua in July of 2005 for a one-year internship with Sandy Carter, founding missionary of several orphanages and feeding programs in Nicaragua. After a year’s time, it was clear to her that God was calling her to continue. Lianne is now working as director of Sandy Carter’s new infant orphanage, Home of New Hope. She has a real passion for helping abandoned and orphaned children. Her vision is to bring the love of Christ to the children of Nicaragua, giving them the best possible hope for their future! Tressa was taught, at the very impressionable age of 4, the importance and value of helping others. Tressa grew up with the indigenous Indians known as the Yanomami and the Puinave. In 1997 Tressa co-founded TOMA. The Tribal Outreach Medical Assistance Foundation is a non-profit organization dedicated to the health and survival of tribes in the jungles of the Amazon basin. At the age of 4, Cherie started working in the nursery at her church and has always loved working with children. She was raised in a Christian home with parents that were very missions minded. She felt called to the mission field in her early 20's and had been taking missions trips since then. It was about that time that she had a dream about a group of children in a room and knew from that time on that she would be working in an orphanage. Cherie has degrees in Religious Studies and Antiquities. She is working towards a Masters of Art in Teaching with a specialty in Early Childhood Education, Spanish and Social Studies. She has been a Children's pastor, an associate pastor, a trainer of early childhood teachers, and has worked in the travel industry. She has been a missionary in Paraguay, and has traveled to over 30 countries for short term missions trips or with groups while working as a travel agent. Cherie also spent a year in Costa Rica, where she learned spanish over 20 years ago. From the day she first saw the orphanage, she knew this was the place she should be. Cherie is not married and does not have any children (other than the children at the orphanage). When I was ten I read A Chance To Die, a biography about Amy Carmichael a missionary to India who rescued children from slavery in the Hindu temples. Her commitment to saving the abandoned children of India has been a great influence in my life. The faith that she and so many other missionaries had is an inspiration to me. They used the talents God gave them to serve Him. I know that God has called me to spend my life helping children. I believe that he who God calls, He also equips. God has called me to work with children and that is why He has given me an ability to help them. I can look back over my life, brief as it has been, and see how God has guided each step for his will and purpose. I pray that He will continue to do so. I pray that I will be able to use my talent to serve Him. The orphanage where I am working desires to raise up Christian leaders among the people of Nicaragua. It is our hope that these children will help bring their country to Christ. In this hope, we provide not only vocational training, but spiritual mentoring. I am in need of prayer for wisdom to help these children, and please pray for the children themselves that God will help them overcome the harm that was done to them before they came to Maranatha Home. The Randalls desire to reach out to the people of Central America, bringing to them the Gospel of Jesus Christ. Recognizing the great need for laborers to help bring in the harvest, the Randalls are working together with others to establish a training center to train workers in evangelism and in godly living. Together we will bring in the harvest! Mark also loves surfing and is reaching out to local surfers, befriending them and sharing the Gospel with all who will listen. The Randalls are also working with Sandy Carter, who has two orphanages in Nicaragua. Angie is a Registered Nurse and worked for 12 years in the medical field. In the late 1990’s, Angie’s heart for missions grew as she went on mission trips around the world: Argentina, Cameroon, Mozambique, Guatemala and South America. She worked with various organizations, including Mercy Ships and Iris Ministries. In 2002, Angie began Beacon of Hope – Africa, reaching out to youth in Mozambique by providing a transition home where life skills and discipleship are the focus. Hope House can house a maximum of 14 boys. There are local workers to help assist in construction, house work, cooking, driving and administration. In addition to helping the boys, the ministry feeds many people from the community each day, providing them with nourishment for the body, soul and spirit. Cheri thompson went to Kenya in 1987 with her husband, Rick, and three children. In 1992 she began working with street children, and started the challenge ministry in the slums of Nairobi. in center where over 50 street kids would come to get a hot meal, medical care, and learn about the love of Jesus. In 2000, they bought the Challenge farm. Rick was later diagnosed with cancer and passed away. Cheri continued the work and opened the farm in 2003. Currently over 60 children are residents of the center. Doug and Beth Ann Gehman joined the Globe staff in 1994. From 1978 to 1993, the Gehmans served as missionaries to Asia where they founded AsiaNet Ministries, a crusade and church planting ministry in Thailand and Sri Lanka. In Sri Lanka, the Gehmans and their team helped plant more than 30 churches among Tamil tea estate workers. Doug attended Goshen College and Fuller Theological Seminary, and earned Master’s and Doctorate degrees in Missions at Liberty Christian University. The Gehmans have ministered in over 40 nations. 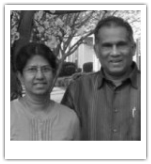 Pastor K. Yoganathan grew up in a Hindu family on the island nation of Sri Lanka, near the town of Bogawantalawa. As a troubled young man he became very hungry to know God and find inner peace. After seeking to find God in many places he finally prayed to the Christian God, Jesus Christ, and was immediately transformed. He became an ardent follower of Jesus, witnessing to everyone about the power of the Gospel. In the late 1970s he started his first church in an old building in the hill country town of Hatton. During those years he lived by faith, with no regular means of support. Life was very difficult and he often went hungry. Over the years the church grew. By the mid-80s the church had grown to over 500 people. During this time he met and married Sheila. Sheila worked in the finance department of the tea plantation industry, and this income helped support the family and the ministry for many years. Over the years they had two children – Mercy and Godfrey. In the 1980s they planted three more churches in neighboring towns, and God gave Pastor Yoganathan a vision to plant churches all over the hill country of Sri Lanka. In 1988 he met Doug Gehman and John Whalen of the AsiaNet Ministries team and together they began conducting regular open-air outreaches and planting churches. In time, more people joined in the work – Pastor Michael Fletcher and Tommy Cartwright and their colleagues from Fayetteville, North Carolina, Clarence and Irene Cope of the Assemblies of God, John Cope of Knoxville, TN, Pastor Sam Webb of Honolulu and many others – to help plant churches. Today, over 80 churches minister to nearly 35,000 people in the hill country. Johnny Cruz has been involved in missions since 1982 when, immediately after graduation from Bible college, he went to Spain. He ministered there for nine years - and also met and married Ivonne, the “lovely Honduran senorita” he met in Spain. In 1992 the Cruz family returned to their homeland of Honduras and are now Central America Directors of INSTE, a TEE (theological training) program. Over 6,000 students are enrolled in the program in nine Latin American countries. Sudip was born into an Orthodox Hindu family in 1975. He became a Christian in 1986. He dedicated his life to full-time service of the Lord in 1989. In 2001, he traveled to Pensacola, Florida to attend the Brownsville Revival School of Ministry. BRSM transformed his life. He and Anne Lise (from Norway) met at BRSM and were married in 2005. Currently, they provide oversight for more than 30 churches. They also run an orphanage home for street children and other orphans. Sudip and Anne Lise train and equip leaders and are involved in social projects to provide safe drinking water and education to the people of Nepal. 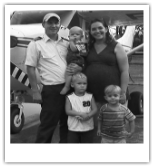 Paul and Beth College, along with their children Seth (4), Blake (3) and Tate (1), are missionaries with Mission Aviation Fellowship in Kalimantan, Indonesia, where Paul serves as a pilot/mechanic. He enjoys putting the Gospel into practice every day by helping the interior people through aviation. "I want to encourage people through personal relationships, including strong cross-cultural friendships that will glorify God." Paul has had many opportunities, using his skills as a pilot, to encourage people. He has not only enjoyed meeting the needs of those interior through aviation, but also through time spent interior, getting to know people in their homes. Chris was born in Macomb, MI, but grew up in Sterling Heights, MI. He accepted Christ as his Savior when he was six or seven and followed Him in baptism at the age of eight. Since that time he can recall multiple people who have been godly influences in his life. 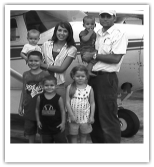 Dave and Joy Forney, along with their children, Britton (7), Hannah (5), Hudson (3), and Tanner & Tyler (1), are missionaries with Mission Aviation Fellowship serving in Kalimantan, Indonesia, as a pilot and mechanic family. Dave has a blast using the airplanes to help breach vast geological barriers for Christ. He’s thrilled to be able to encourage and facilitate the work of many Indonesian pastors, missionaries and Christian organizations, while at the same time developing one-on-one relationships with the nationals he serves. 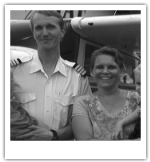 Joy loves supporting Dave in His flying ministry, and providing a “place called home” for the family. When she’s not concentrating on full-time mom duties, and the lengthy process of shopping for and preparing meals, she also enjoys using her gifts of hospitality and encouragement to strengthen their mission team, and build relationships with their Indonesian neighbors. Craig and Christa Hollander, with their children Faith and Sean, are missionaries with Mission Aviation Fellowship serving in Indonesia. As a pilot/mechanic, Craig has flown hundreds of passengers and thousands of pounds of cargo each month in support of church and community development projects in the isolated mountain villages of East Kalimantan. This past term Craig had the privilege of using his aviation skills to bring hope and life-saving supplies to cut-off survivors in 5 refugee camps along the tsunami-devastated coastline of Aceh. Craig says, “It has been very satisfying to have a critical role in helping to meet the physical and spiritual needs of the people in the heart of Indonesian Borneo and the island of Sumatra.” Craig's favorite verses are Revelations 5:5-6a. He feels “these verses are an awesome summary of history and eternity. The Lion who rules is a Lamb who was dead but now is alive! God’s glory is everywhere, from the indignity of the cross to the brilliance of heaven." 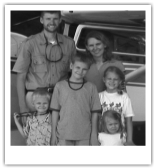 David and Natalie Holsten and their children, Carter, Grace, Luke, and Zoe, are missionaries with Mission Aviation Fellowship serving in Kalimantan, Indonesia. They share that the relationships they have built with the people they serve, and the people they serve with, have been a great blessing to their ministry this past term in Tarakan. David shares that each day is a different type of ministry. “As a pilot, I may find myself flying a woman having complications with childbirth, an Indonesian pastor and his family, or even a load of baby pigs.” As an MAF instructor pilot, he enjoys the opportunity to fly with his fellow MAF colleagues. And at the end of the day, his greatest pleasure comes from the family the Lord has blessed him with. 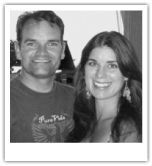 Brad and Rebecca Hopkins are serving in Indonesia, with Mission Aviation Fellowship. As a pilot/mechanic, Brad serves people in the remote villages of Borneo. Without the airplane, people would have to walk or ride boats for weeks through dense jungle to get to the places to which MAF can fly in minutes. On a typical day, Brad could fly sick people in need of medical care, Indonesian pastors, government officials, rice, and even the occasional chicken or pig. Brad particularly enjoys the time he gets to spend with villagers during his flight day. Nathan and Taren both considered serving in missions when they were younger, but over the course of time they lost sight of that calling. After their lives were shaken when Nathan’s brother passed away in 2006, they revisited their calling to serve in missions. Now they serve the Japanese people, and hope to make disciples and start reproducible churches. Joshua and Akiko are team leaders of “The Village Mosaic” – a church-planting project designed to plant culturally-relevant churches in Japan and East Asia. Before serving in Japan, Joshua served for over 8 years in missionary care as director of Emercy, a missionary care and support ministry. Akiko is a first generation Christian and a native of Japan. Joshua and Akiko met in a Christian fellowship while attending the University of Alabama. Judy has worked in the mountains of Guatemala since the 1970s. Even through personal tragedy (the loss of her husband), she and her children have endured and flourished in missionary service. She founded and oversees a Christian school of 800 children. The ministry also includes a training program for village women, which helps them develop skills in computer and cosmetology.